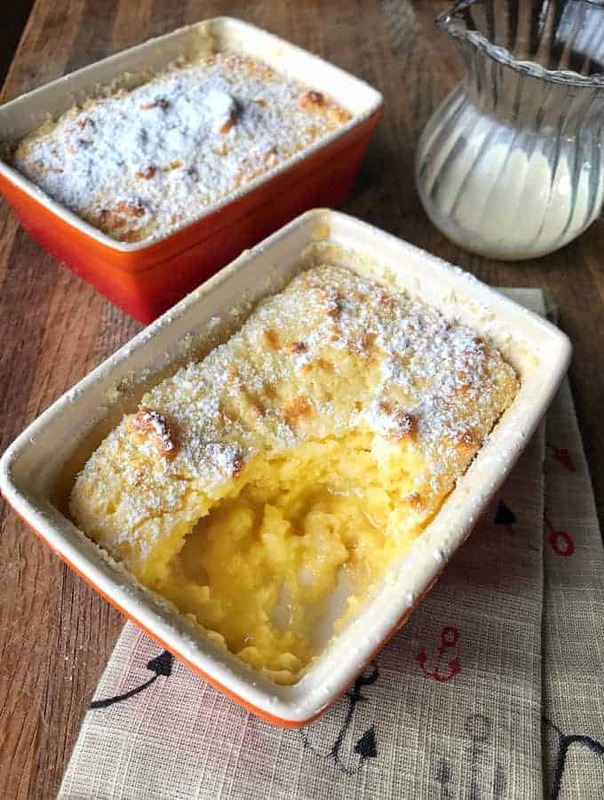 The perfect comfort food as the nights get colder lemon delicious is a classic Kiwi dessert. 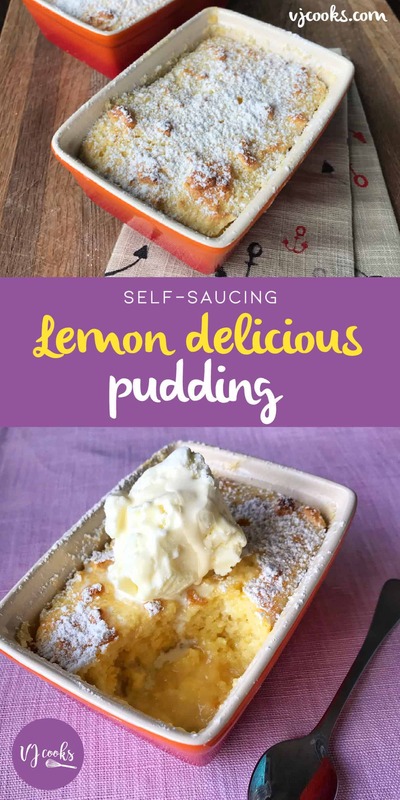 This self saucing lemon pudding is very easy to make and will be sure to please your family! You should have the basic ingredients for this recipe in your pantry, bonus if you have a lemon tree as it is a great way to use up lemons! There is something so comforting about having a warm pudding after dinner. The debate is whether you serve your lemon delicious dessert with ice cream or cream, or you could just go for both! In the photos I have made the pudding in separate ramekins but you could easily make this in one dish too. 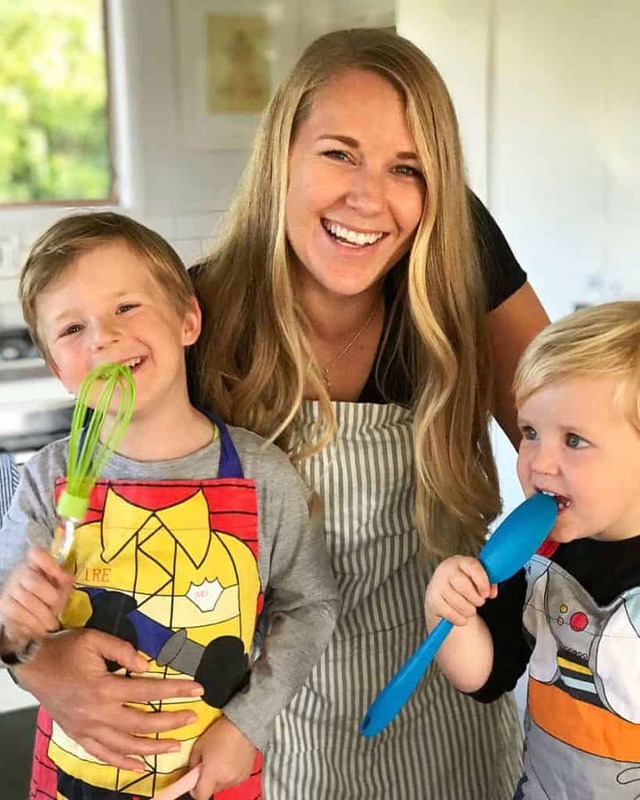 Check out the super easy recipe below, I hope your pudding turns out as tasty as mine did! 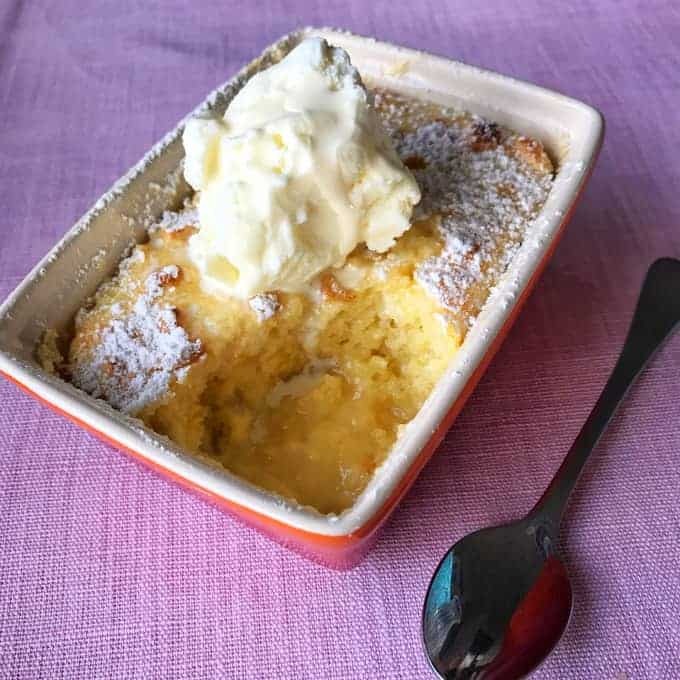 You and your family will love this dessert with the perfect balance of tart and sweet, you can make it in one dish or individual ramekins as the recipe will work for both. Preheat oven to 170°C fanbake. Grease an ovenproof dish or 4-6 ramekins (Depending on size). 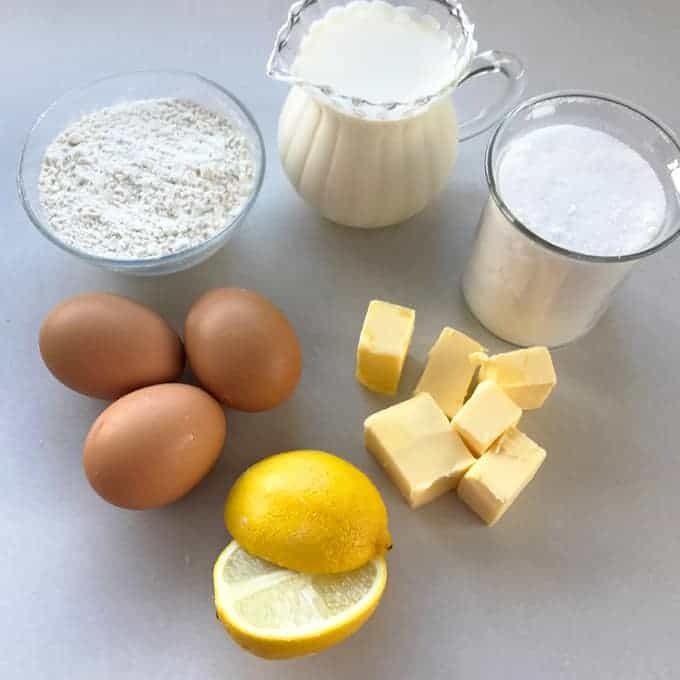 Place the butter, lemon zest, lemon juice, egg yolks and milk in a bowl then whisk to combine. Sift in caster sugar and flour then stir again. In a clean bowl use a mixer or electric beater to beat egg whites until soft peaks form. Fold half of the egg white into the lemon mixture then gently fold in the rest. Spoon mixture into prepared dish or ramekins and place in a larger baking dish. Pour enough boiling water into baking dish to come halfway up the sides of the smaller dishes. Bake for 25-30 minutes or until golden and just set. Dust with icing sugar and serve with cream or ice cream.